DJI, the world leader in Drone technology has just launched it’s most portal, power and easy to use drone called DJI Mavic Pro. The Mavic Pro is very small & portable just like the GoPro Karma. The Mavic Pro Done is small enough to carry in a bag and easy enough to launch quickly. DJI Mavic Pro Drone is equipped with stabilized 4K camera and a visual navigation system with a range of 7 KM and 27 minutes of flight time. The Range of Mavic Pro is much larger than the GoPro Karma. 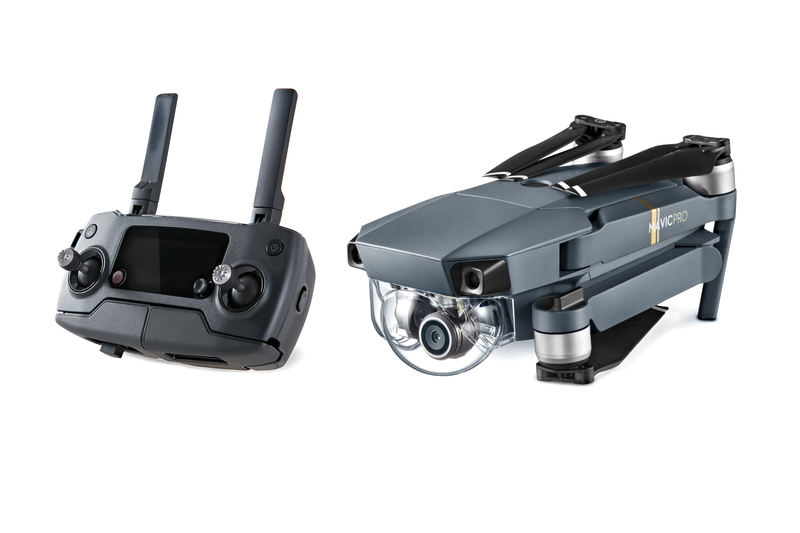 The Mavic Pro new Flight Autonomy System consists of a complex network of hardware and software which includes a camera, GPS/GLONASS navigation system, a pair of ultrasonic range finders, redundant sensors and 24 powerful computing cores. Flight Autonomy can position, navigate and plan routes for Mavic Pro, enabling it to avoid obstacles in various environments, with or without the help of satellite signals. The Drone can dodge the obstacles at speed up to 36 kmph. The Mavic Pro can be switched to Sports Mode which boosts the speed of drone up to 64.8 kmph which increases the drone agility and responsiveness. The Drone can remain stable in winds of up to 38.6 kmph. It also uses DJI GEO geofencing system to help identify restricted areas, preventing flight in locations that might raise safety or security concerns automatically. DJI Mavic Pro automatically return to its launch location whenever it loses contact with the controller or battery level reaches critically low. To achieve this, the drone automatically records a burst of video with two stereo camera every time Mavic Pro launches. When returning back, it uses video and location information to identify the launch location. Just like the GoPro Karma, it also comes with three-axis gimbal for shake-free photos and video. Mavic Pro records 4K video at 30fps and full 1080p HD at 96fps. Its 12-megapixel camera with Adobe DNG RAW support has been expertly tuned for aerial images. With this camera, you can also shoot 2-second long exposures. An updated version of DJI’s ActiveTrack recognizes common subjects such as people, bicyclists, cars, boats, and animals. You can command Mavic Pro to follow behind, lead in front, circle above or track alongside the subject, keeping the camera focused on the subject while you concentrate on flight maneuvers. With Mobile app, you can live stream aerial shots to Facebook Live, Periscope, and YouTube. DJI Mavic Pro Price at $999 with the remote controller and $749 without the remote controller. Mavic Pro is immediately available for pre-order in the US at dji.com/mavic and will begin shipping October 15.